The impressive Optic Crystal Pinnacle Award has tapered sides and a beveled top. 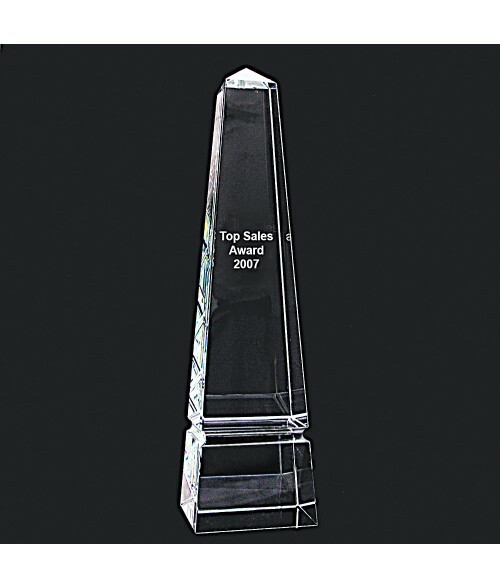 This award is perfect for engraving motivational thoughts and corporate logos, the Crystal Apex Award creates a wonderful accessory for any office. Crafted from highly polished optic crystal, laser engraving will reveal a frosty white tone for excellent contrast.